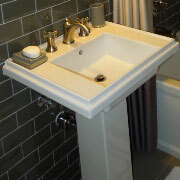 ProSource® of Gonzales knows one sure way to add value to a home is to remodel the bathroom. Whether you simply add new flooring or replace all the major features like the sink, tub, countertops, and toilet, we can help you complete the project for your client. In many cases, your client wants to transform their boring bathroom into an experience they can enjoy every single day. 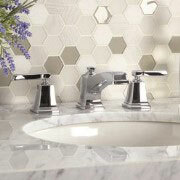 Bring your client’s entire bathroom decor together with the best bathroom sink for the project. Our showroom offers a wide selection of sinks in various styles, designs, and colors to achieve the look and feel your client desires. The aesthetic of a bathroom, including the counter and the sink, can be enhanced or interrupted by a single feature: the bathroom faucet. Choose one of the many elegant faucets our Gonzales showroom offers. You may already know this, but every homeowner loves their shower. Whether they have a newly remodeled shower or the original one from when they purchased their house, they enjoy every second spent in this bathroom feature. We provide a comprehensive expanse of shower doors, handles, and faucets. Can’t seem to find enough extra bathroom storage? 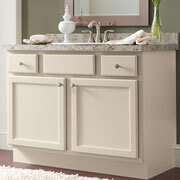 Declutter the space with a bathroom vanity. It offers alternative storage, lights, a mirror, and counter space to add to the aesthetic and functionality of the room. 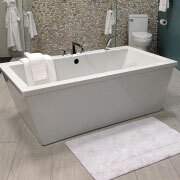 ProSource of Gonzales offers bathtubs of all types, styles, colors, and designs. Bring in your client to choose which tub they want to sink into after a hard day’s work. Whether they want a standard tub setup or a jacuzzi style experience, we can help. When you remodel a client’s bathroom, we highly encourage finding a new toilet for the space. As one of the higher trafficked features, an old toilet in a new bathroom doesn’t do the remodel justice. 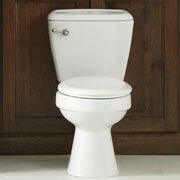 You’ll find the biggest selection of new toilets at our Gonzales showroom.